Hi, everybody! It’s time for a new Lawnscaping challenge (#106)! This time, we’re inviting you to try a new technique on your entry! I was stumped for quite a while, but then I was inspired by this post at Jennifer McGuire’s blog, where she showed her technique for ink layering with two different types of ink and stencils. For my card, I used one stencil. I sponged white ink on the stencil and heat set it so it wouldn’t smear. Then, I shifted the stencil a bit and sponged a few colors of neon yellow and orange ink on top. I cut the stenciled layer down to use it as an accent on my card. 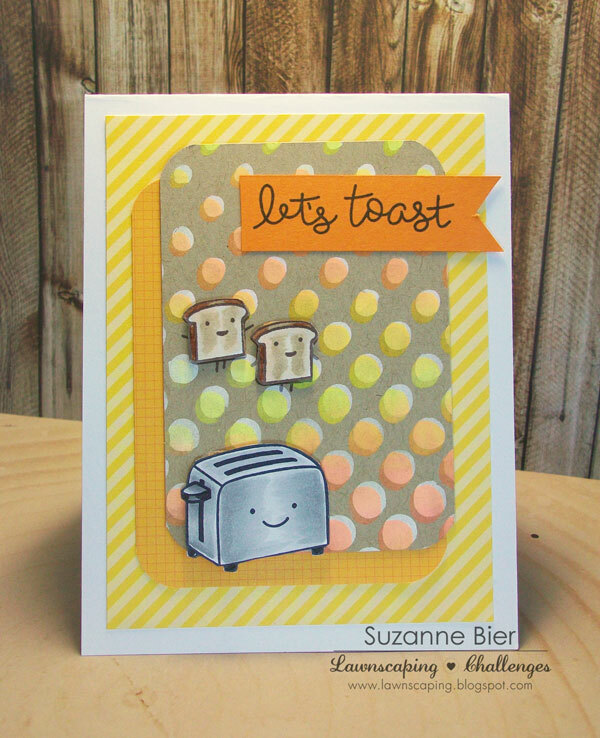 Then, I stamped the toast and toaster from Lawn Fawn’s Love ‘n Breakfast stamp set and a sentiment from Love You S’more. 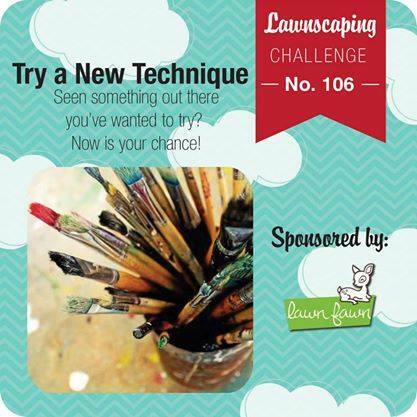 Lawnscaping Challenge #105 is sponsored by Lawn Fawn! One lucky winner will receive a gift certificate to the Lawn Fawn store! Thanks so much for stopping by today! Make sure you get all the details on this challenge and link up your entry for Lawnscaping Challenge #106 at the Lawnscaping blog! Yeah!!! This is incredible!! I LOVE that circle background!!! The neon over the white…swoon!! GENIUS! And so incredible on your card!